In some circles 144Hz monitors are quite controversial. On the one hand you’ve got people who love them (this group includes a lot of gamers) and say they make a massive difference, particularly while gaming. On the other, you have people who claim they’re just an unnecessary expense. And that a lower Hz monitor does the job just as well. 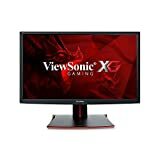 In my opinion, 144Hz monitors are really good, and the difference when gaming is extremely obvious. But they do tend to get a little pricey. For this reason, we’ve been looking through a large number of budget 144Hz monitors this week. Our aim was to find out which 144Hz monitors offered the best value for money, and which were overpriced and not worth picking up. After looking through a bunch of different models, we decided that the best budget 144Hz monitor is the ASUS VG248QE 24″. It’s got a great quality screen, looks pretty, and offers great value for money as well. In this article we’ll discuss the ASUS, as well as looking at some of the other excellent monitors we had the opportunity to play with. Pretty much everyone in the office is a keen gamer, we love shooting zombies and capturing flags just as much as the next guy. We also do a lot of movie and TV watching on our PCs. So we know how important having a good quality monitor is. So while we feel pretty well-qualified to judge a set of monitors, we also wanted to get the opinions of some hard-core gamers and monitor users before we wrote this guide. Because these people are such experts regarding quality monitors, we felt that their input would really help us to narrow down the key features to look out for before buying. So we surveyed them and asked them which 5 features were the most important things to consider. After much discussion, they gave us the below list. We determined this final list by ordering all the monitors that met the above criteria into the office. Once we had them, we set about testing each of them. We played games, watched TV and generally put them through their paces. As a result of our testing, we picked these 5 monitors out as the best. There were plenty of good options, but these were the 5 stand-out models. Most people think picture quality is determined simply by how many pixels a monitor has in relation to the size of the screen. Generally, this is true. So normally a 24 inch screen with 1920 x 1080 pixels will have a better picture quality than the same screen with 1280 × 720 pixels. But it’s definitely a pretty huge oversimplification to think that more pixels = better quality picture, all of the time. This is because picture quality has as much to do with the build quality of the monitor as it does anything else. You get monitors that look great on paper, they have all the right specs, high resolution etc. But when you get hold of them they don’t look right. Maybe the color’s off, or maybe it’s inexplicably grainy in some parts while being super-clear in others. The point is, if you buy a shoddily made monitor, then it isn’t going to matter how many pixels the manufacturer says it has, it’s just not going to look any good. Luckily, we’ve had the opportunity to actually try out all the monitors we recommend here. So we’re not just relying on the manufacturer’s assertions. We know which ones consistently produced a great quality image. All of the monitors we recommend here had a great quality picture. So whether you’re playing games or just watching a bit of TV in your downtime, you won’t find yourself staring at a grainy image. Smoothness is a term used to describe how well a monitor runs video. A smooth monitor will have a high Hz rating (this simply describes how many times per second the screen can create a completely new image – so 144Hz means it can draw a new image 144 times every second). However this in itself isn’t enough. Obviously every monitor we looked at has a 144Hz rating, but even so, some monitors were far smoother than others. Once again, it comes down to build quality. Some of the poorer quality monitors I’ve seen will run smoothly for the first couple of hours or so, but any longer than that and they would start to noticeably slow down. It’s hardly surprising that these models weren’t the most long-lasting either. I’ve even seen relatively new models where individual pixels or parts of the screen will start freezing and not moving as fast as the rest. When watching movies this is extremely frustrating, and can really ruin the atmosphere of a film. But it’s even worse when gaming, as you can easily miss enemies or parts of the action due to the pixels just not loading fast enough. Obviously speed and reaction times are of critical importance in gaming, so any screen malfunctions can be absolutely disastrous. When we were searching for good monitors to bring in and test, one of our most important considerations was price. Obviously, we’re talking about ‘budget’ monitors, so bringing in any really expensive options wouldn’t make any sense. But it is important to realise that one person’s idea of a ‘budget’ monitor might not be the same as another’s. It’s also notable that 144Hz monitors are generally high quality, and as a result they’re more expensive than lower Hz monitors. So these might be a little pricier than what you would normally consider a ‘budget’ monitor. With all this in mind, we made a serious effort to pick out the monitors that we thought offered the best return on your hard-earned cash. While some of the models we recommend here might not fit most people’s idea of ‘budget’ they are all excellent monitors and offer real value for money. We’ve also included some cheaper options (under $200) and some slightly more expensive models too. So you’ll be able to find a great monitor no matter your price point. I have to be honest and say that how my monitor actually looks, isn’t all that important to me. As long as it produces a great picture, and runs smoothly then I’m pretty much guaranteed to be happy (although I’d probably prefer it if it wasn’t bright orange or anything). But for the people we surveyed, this wasn’t the case. They were interested in making sure their monitors looked good, and many of them had a specific look that they were aiming for as well. With this in mind, we were careful to only recommend monitors that we liked the look of. Now, clearly one person’s perception of what looks good can be entirely different to another’s. To get round this, we got hold of some of the other people who work in our office, pulled them away from their desks, and got them to take a look at our monitors. All the ones that ended up in our top 5 were regarded as being good looking models. So unless you’ve got some really out-there tastes, you should like the aesthetic of any one of these. This is a feature that’s so important, and yet so easy to forget about. For most features, testing is very easy. All you do is, turn the monitor on, and see how well that particular feature works. So if I’m interested in picture quality, I just turn the monitor on and see how good it looks. I’ll then watch a film or two, maybe bring up a couple of different high-quality images, and see if the quality maintains. If it does, then it scores well. Testing for durability is much harder. I can’t exactly hit it with a hammer just to see if it’ll break or not. But there are still a couple of ways to tell. The first thing I did was take a look at each of the monitors myself. I pulled them a little bit this way and that, just to get an idea of the build quality and the materials they were made out of. Did anything look shoddy or poorly made? If so, that monitor went in the discard pile. With that out the way, we called up a professional gaming PC builder we know who knows more about monitors than 99.99% of people on the planet. We gave him the monitors that were left, and asked him his opinion on the reliability of each of them. He told us what he thought, and a couple more went in the discard pile. All 5 of the models that ended up on our final list have great reputations for durability and reliability. So no matter which one you get you’ll have no troubles on that front. Of all the monitors we looked at the ASUS VG248QE definitely came out on top overall. While some of the other models were really excellent, our favorite was the ASUS. We liked it so much because it performed extremely well in every single one of the categories we mentioned above. Firstly, the picture quality is brilliant. It has a full HD resolution of 1920 x 1080, but as we discussed, this often doesn’t tell the full story, and monitors with impressive resolution can often disappoint when you take them out the box for the first time. With the ASUS, this couldn’t be further from the truth. The picture is absolutely crystal-clear and it looks much better than some models with even higher resolution. It’s also extremely smooth when gaming, which is when the FPS (frames per second) of a monitor is most tested. We put in several hours on League of Legends and Black Ops III between us. Not one of us had a complaint with the smoothness. This is no mean feat considering we were playing for as long as we were (also we’re fussy). In terms of price, this definitely isn’t the cheapest monitor here. However, it’s far from the most expensive either, and bearing in mind its build quality we feel that it presents excellent value for money. We all thought the VG248QE looked good as well. Obviously this is a matter of taste, but I’m not really convinced there’s anything not to like. Our model was a sleek, cool, modern-looking dark grey and set into a sturdy circular base. So top marks for that. Finally let’s talk about durability. When we did our initial testing (basically just picking it up and making sure there weren’t any obvious faults or anything loose) we were very happy. The materials were good and the whole thing seemed nicely put together. When we put in the call to our PC builder, we got more good news. Basically this model is widely regarded as being extremely reliable. ASUS also have an excellent reputation and this model comes with a 3 year system and panels guarantee. Overall, this was 100% the best model we looked at. Our second place model was very good too, but after extensively comparing each of them, the VG248QE ended up our number 1 recommendation. Like our number 1 pick, the BenQ ZOWIE is a seriously good monitor. It produces an excellent quality picture (1920×1080 pixels) responds quickly, and produces fantastic smoothness when gaming too. This model doesn’t just have the specs, it’s got elite-level performance to back it up as well. This is something that plenty of other monitors lack. It looks pretty good. I have to be honest and say that I don’t think it’s as stylish as the ASUS (it’s very square) but it’s not bad-looking by any means. It’s also got a great reputation for durability. All-in-all this is a brilliant pick and really only lost out to the ASUS by the slimmest of margins. This is (at the time of writing) the cheapest model 27″ on our list. To be honest, a 144Hz monitor at this kind of price is just incredibly good value. They are very rarely this cheap, and if you’re on a strict budget then you should definitely pick this model up, you won’t be disappointed. But we didn’t find the picture quality to be quite as good as either of the previous two models, so the Acer only made it to number 3 on our list. This is a good example of the specs of a monitor not telling the whole story. On paper this model is the best on this list. It’s got all the specs of the other monitors, but it’s a fair bit cheaper. But in practice, the picture quality just isn’t the same. So while it’s a good monitor, it loses out to the other two. The XF240H is another good option from Acer. It offers great value for money and has a very decent looking picture too. When gaming, I did notice that the monitor didn’t play quite as smoothly as some of our previous models. The difference certainly wasn’t massive, but after a couple of hours play we were all aware of it. If you’re not much a gamer then this likely won’t bother you. And in that case this is a great (and well-priced) option. But if gaming is your thing, then one of the other monitors might be a better choice. This is still a really good model, but smoothness is really key when gaming and it should be an absolute top priority if you do a lot of that. This is by quite some margin the priciest model on our list. For those of you whose idea of ‘budget’ is a little more extravagant than others, it might be an excellent choice. The picture quality offered by this model is really great, and this is complemented by the fact that it runs very smoothly as well. Because of this, gaming on the ViewSonic is a joy, and watching movies is great fun too. The only reason this model is number 5 on our list is because of its price. But it’s also a wider screen model than all of the previous monitors we’ve looked at. So if you’re after a more immersive viewing experience, it might just be perfect. Each of these models was actually very good. And I think any one of them could be an excellent choice depending on your situation. But our favorite, and overall recommendation to you, is the ASUS VG248QE. It’s the overall best quality monitor here and offers great value for money too. 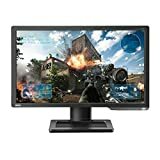 So if you’re in the market for a budget 144Hz monitor, that would be my recommendation. 144Hz monitors are often associated with a high price tag, well that's not the case. We look at the Best Budget 144Hz Monitors that will fit your budget.